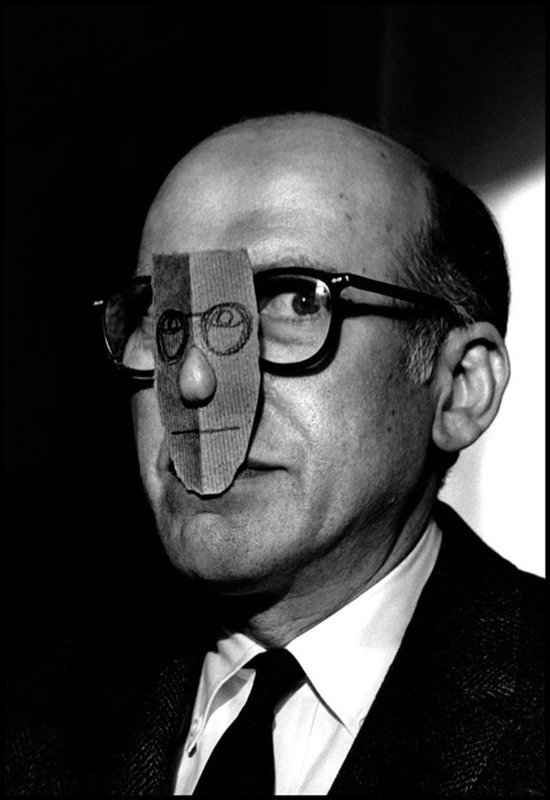 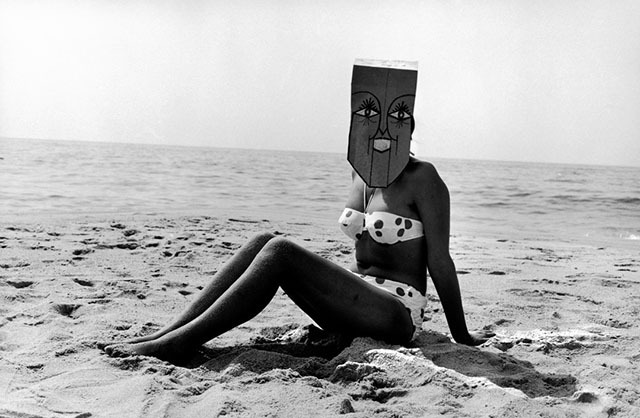 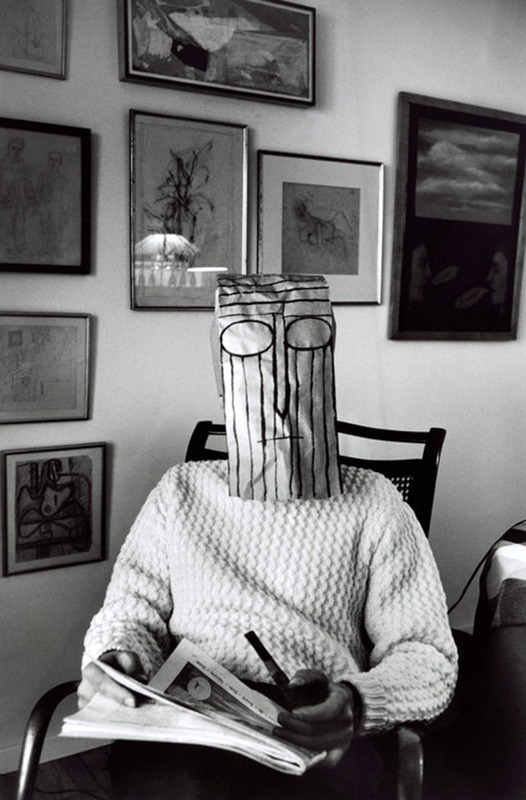 Saul Steinberg (1914-1999) was one of America’s most beloved artists, renowned for the covers and drawings that appeared in The New Yorker for nearly six decades and for the drawings, paintings, prints, collages, and sculptures exhibited internationally in galleries and museums. 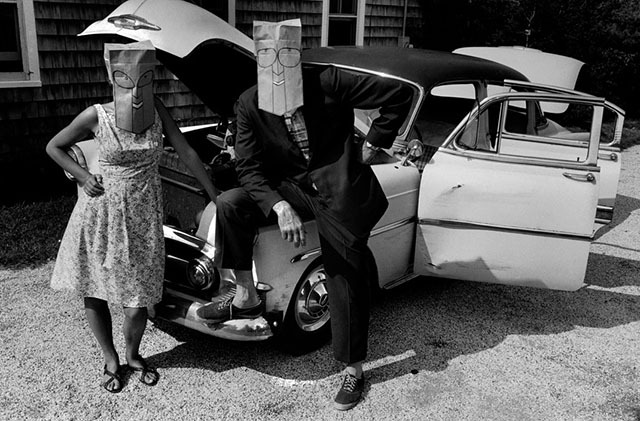 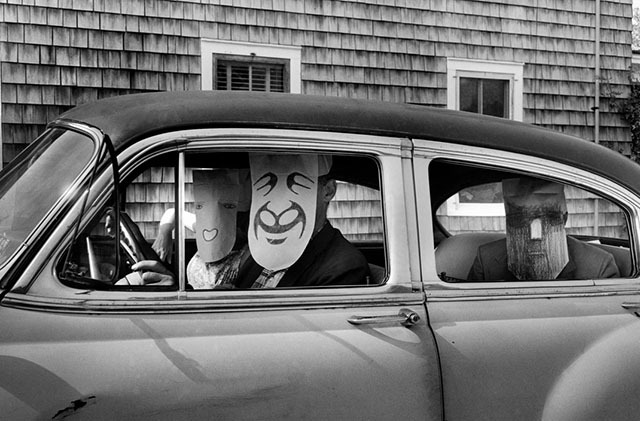 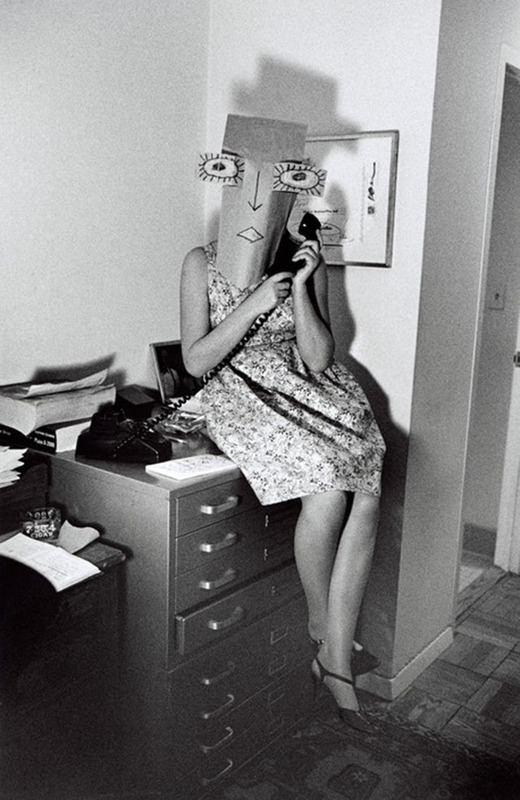 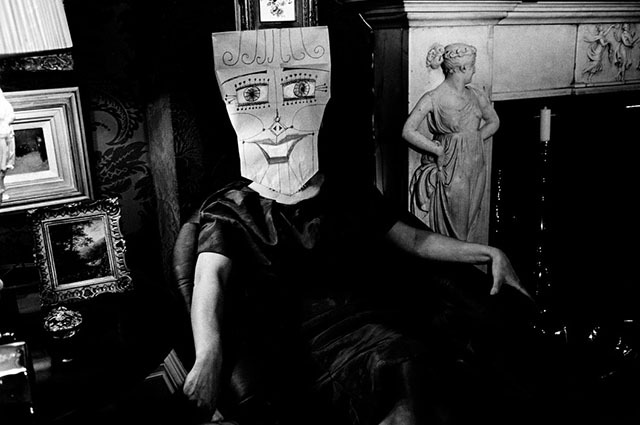 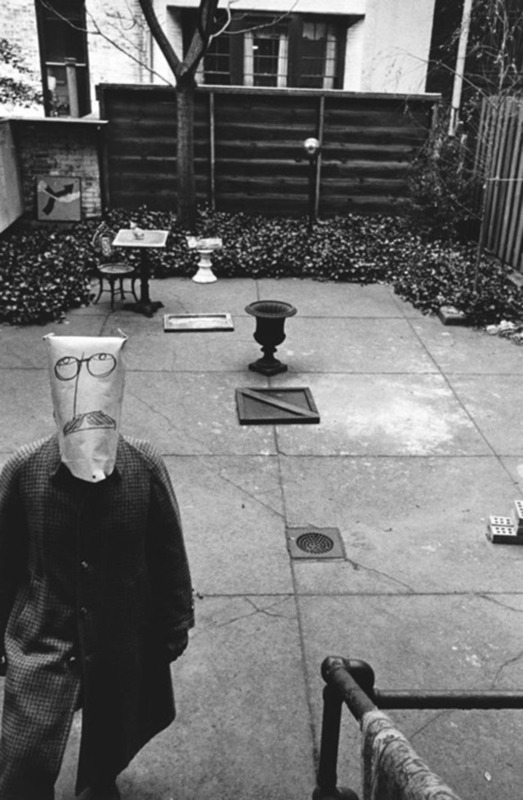 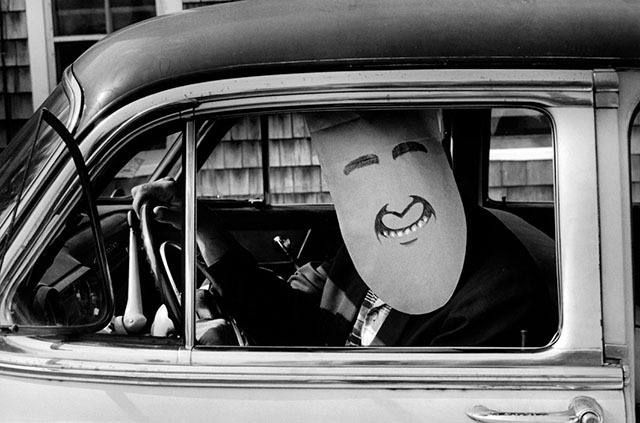 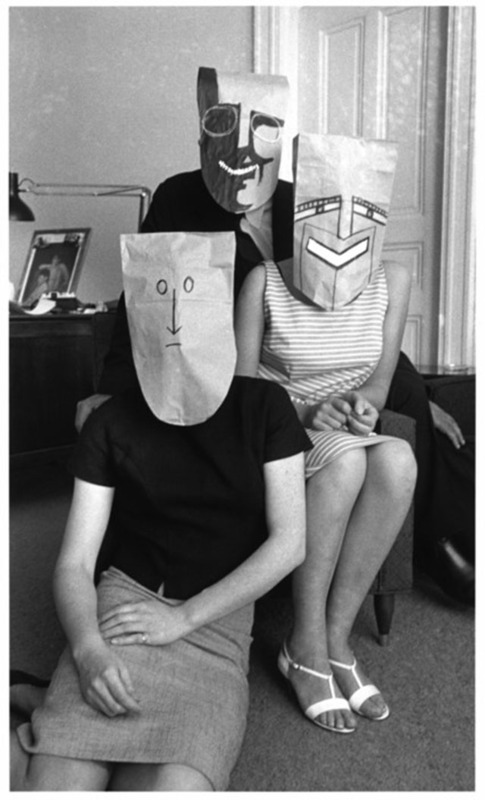 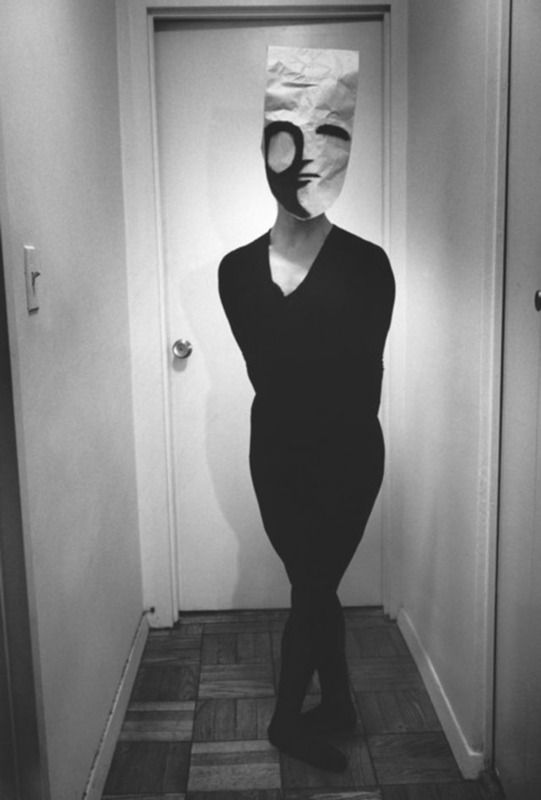 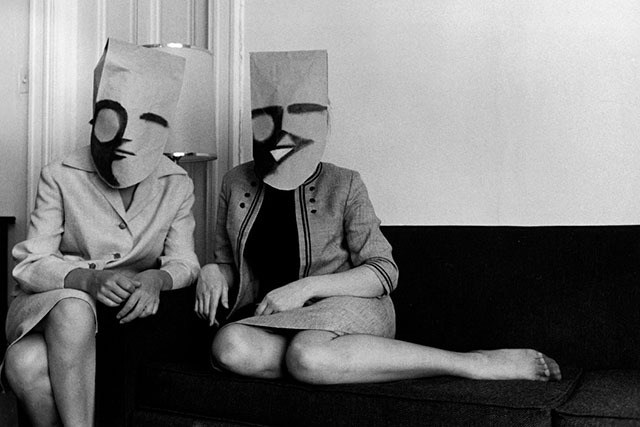 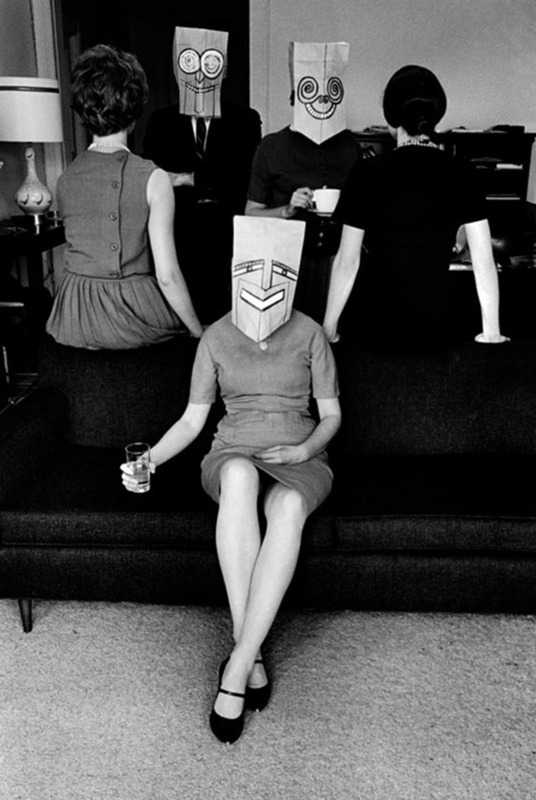 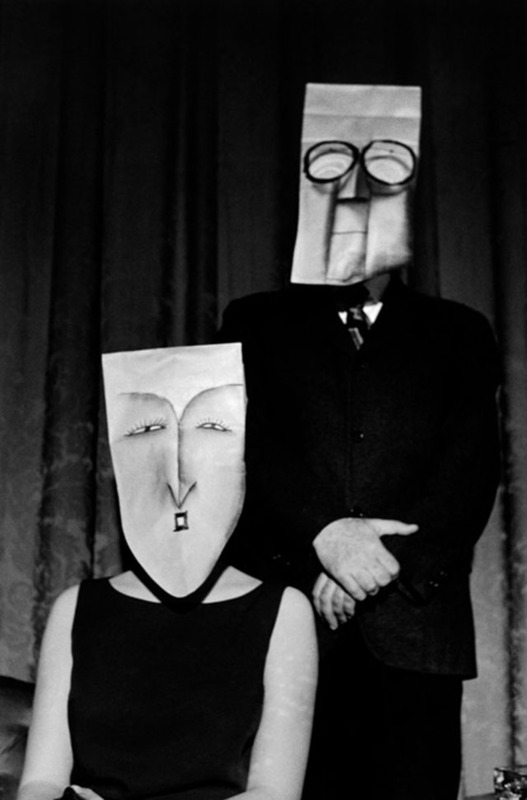 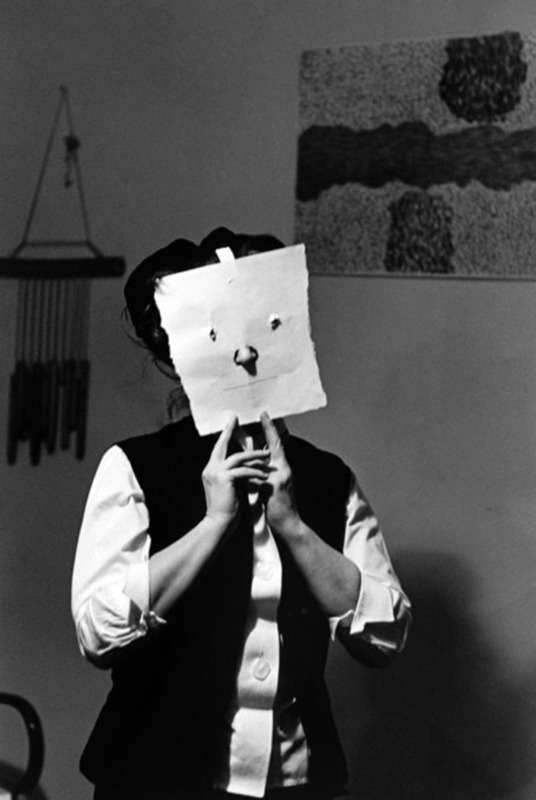 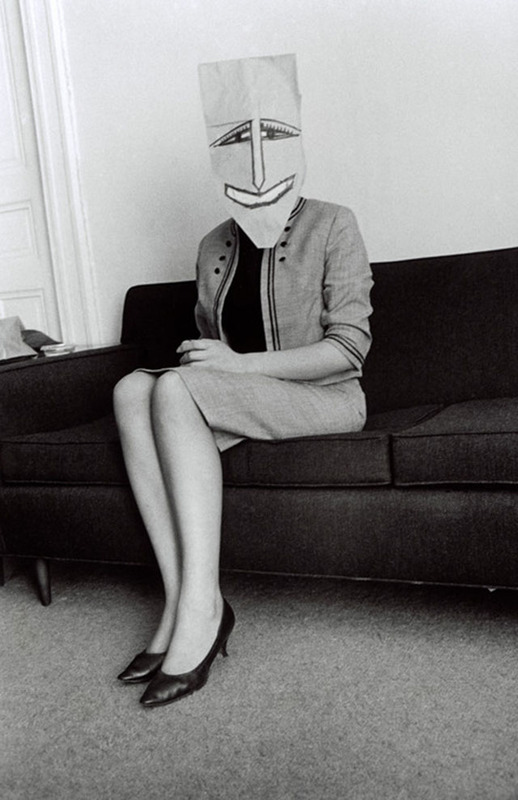 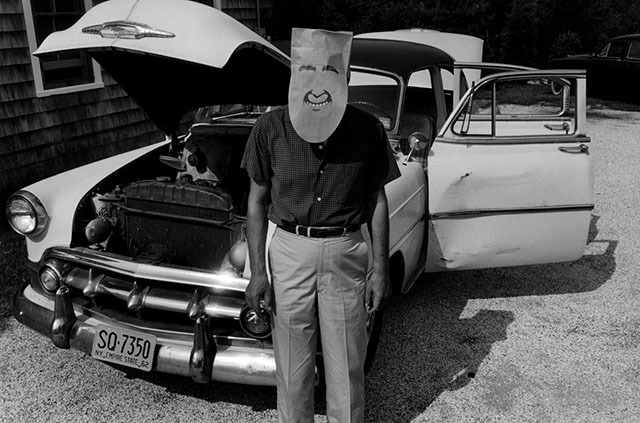 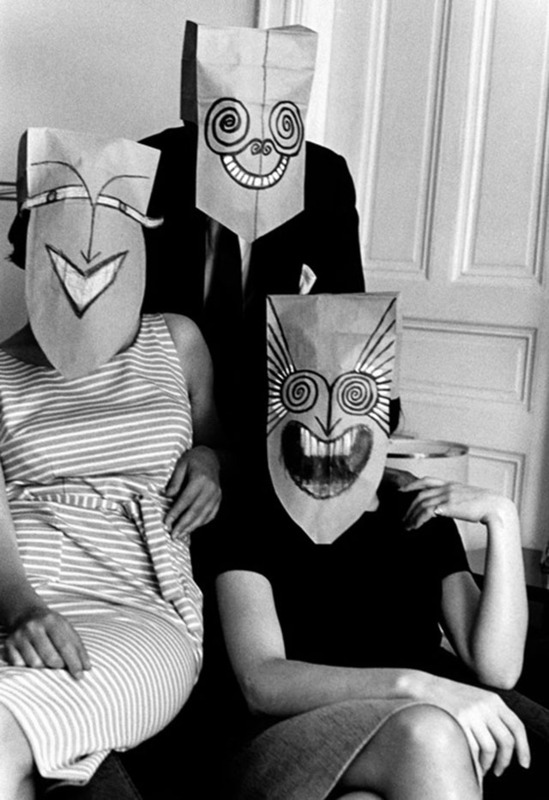 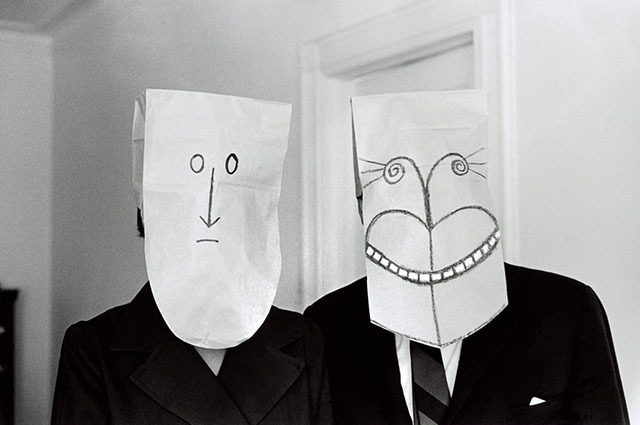 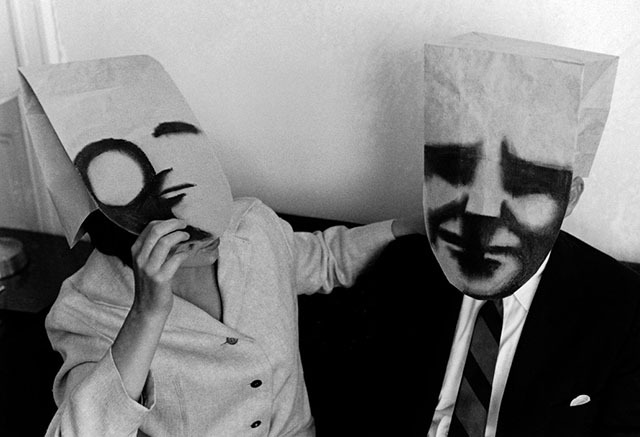 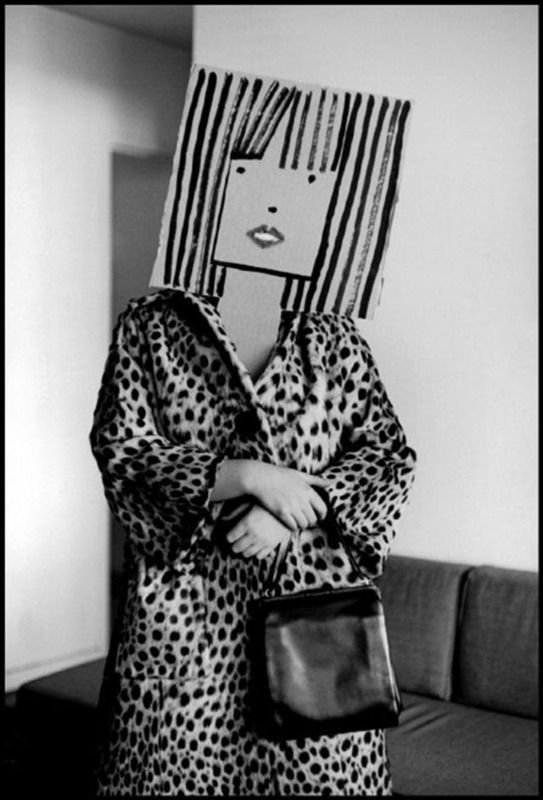 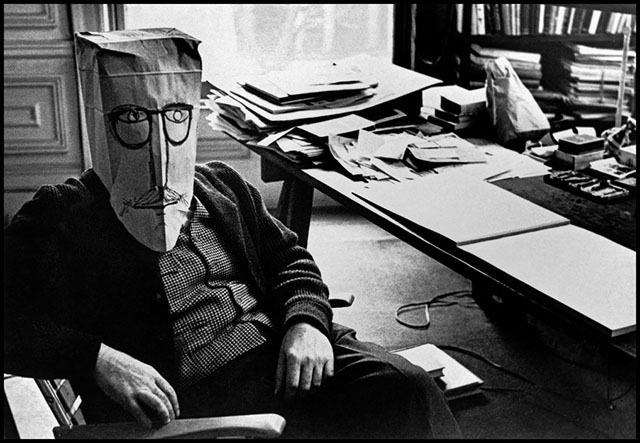 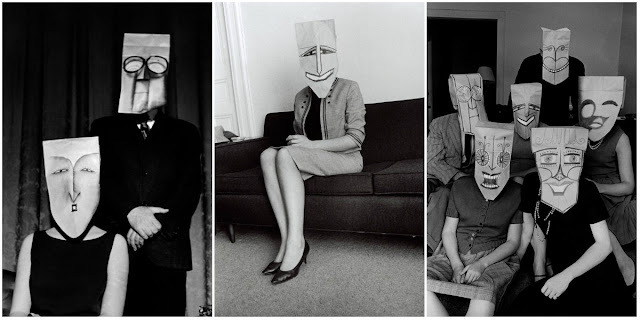 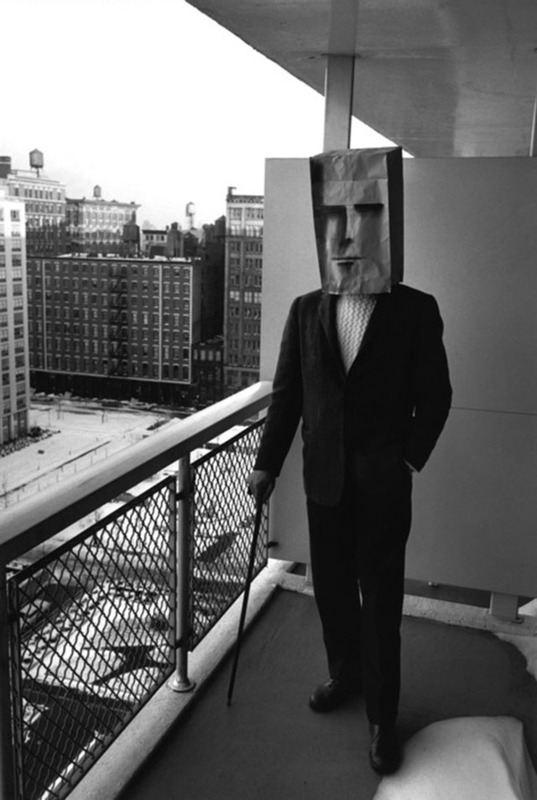 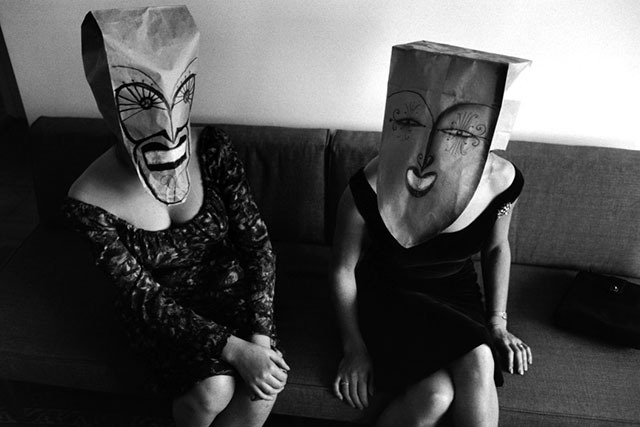 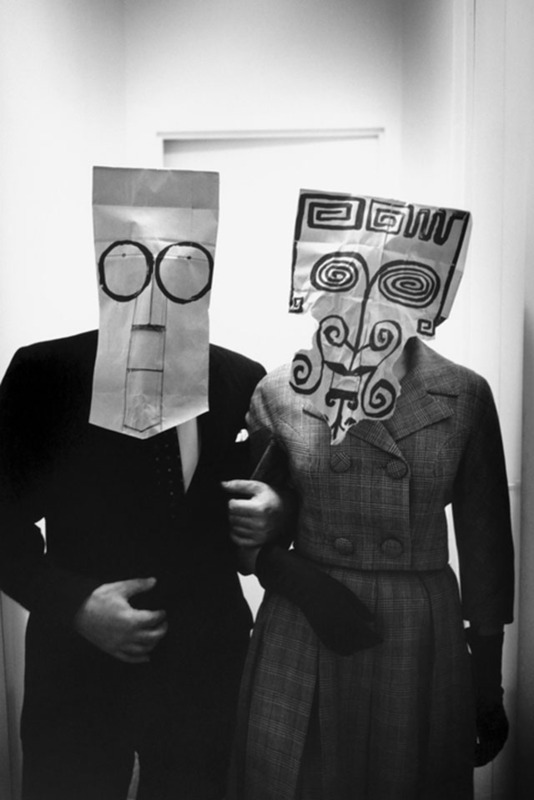 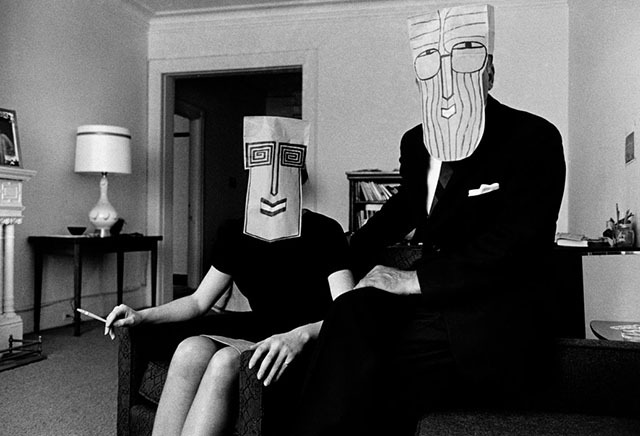 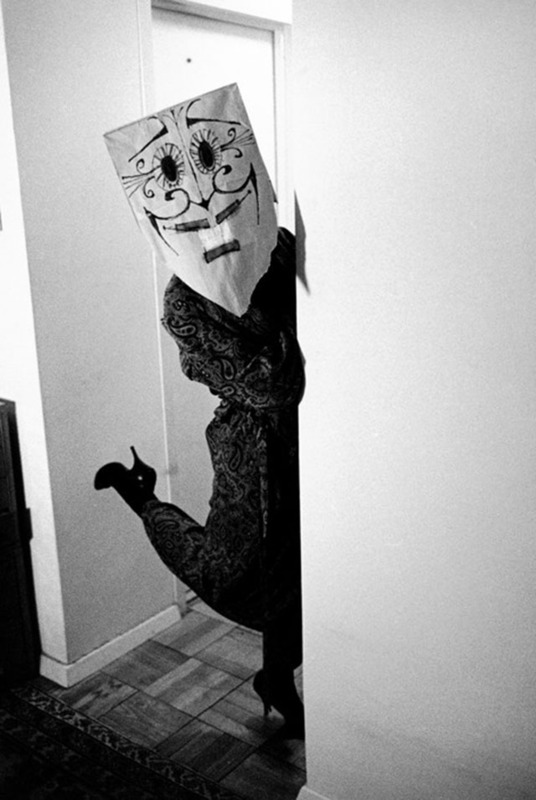 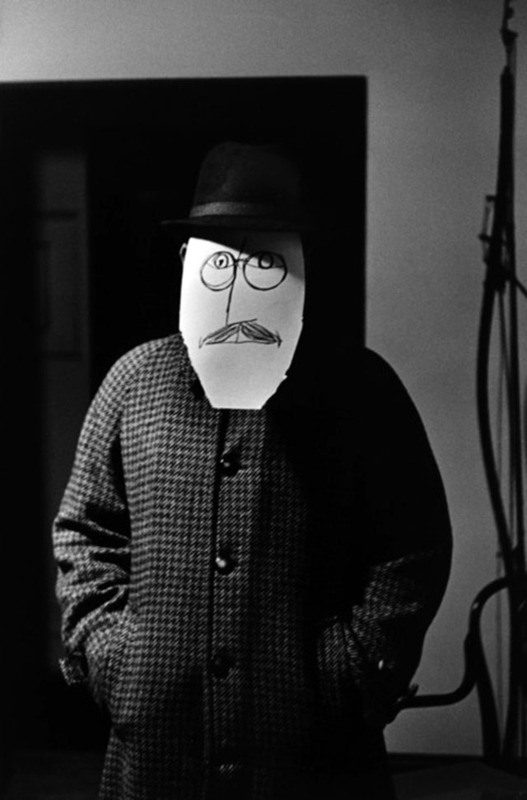 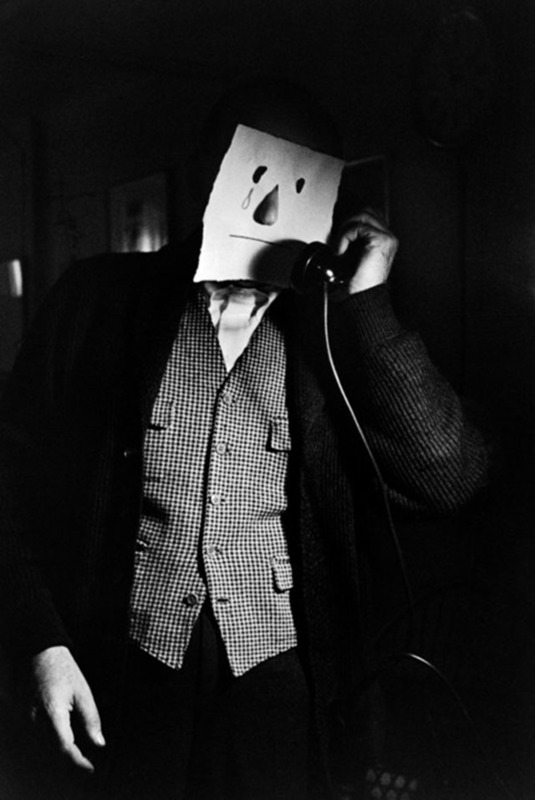 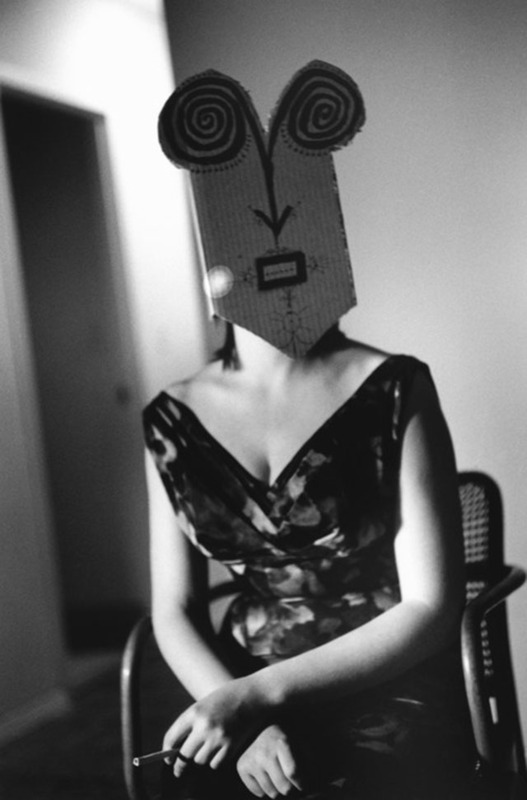 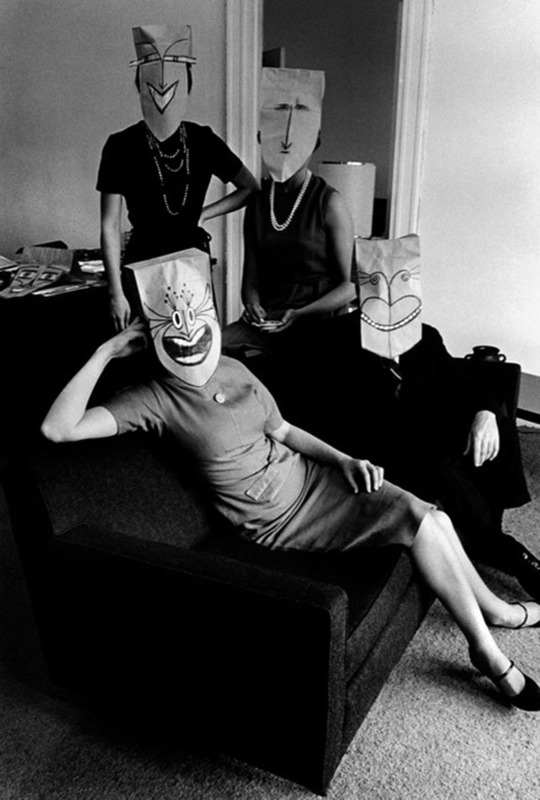 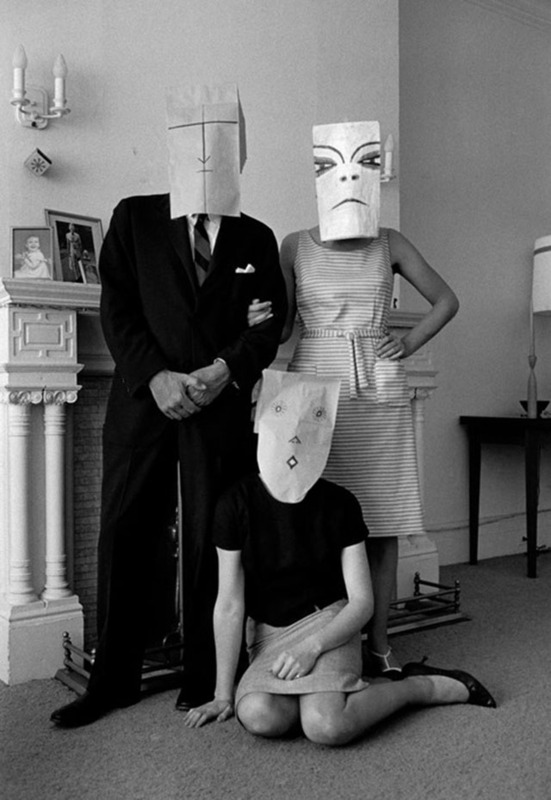 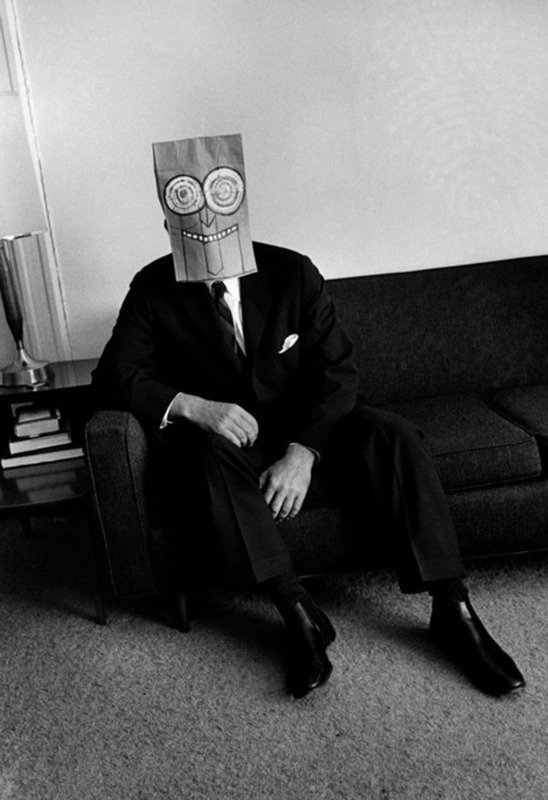 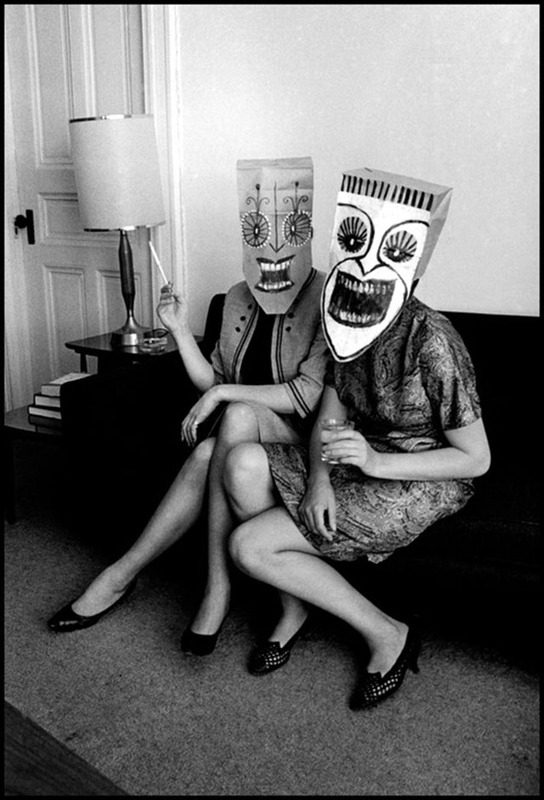 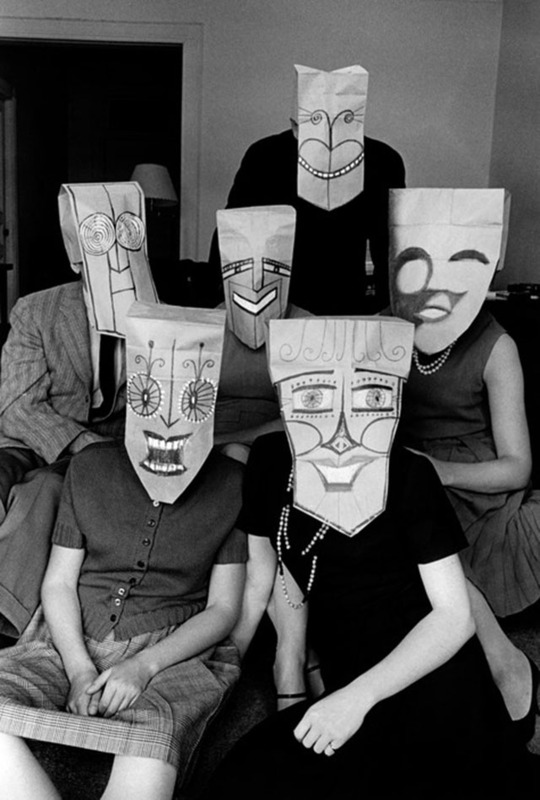 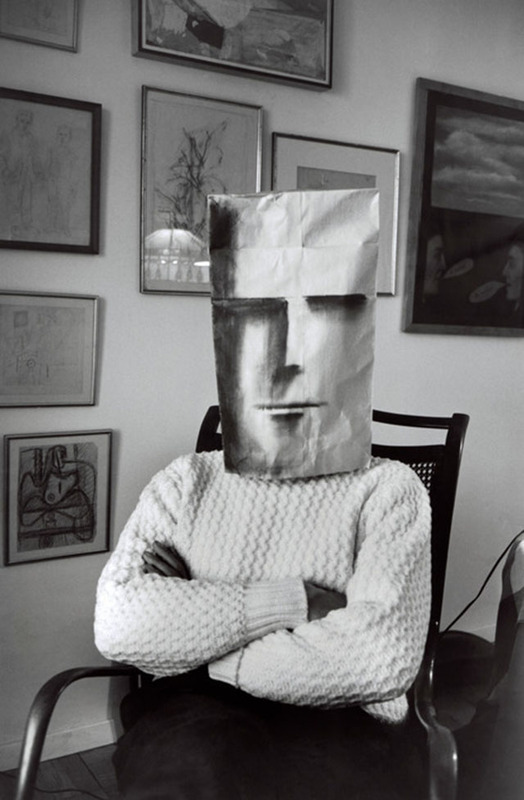 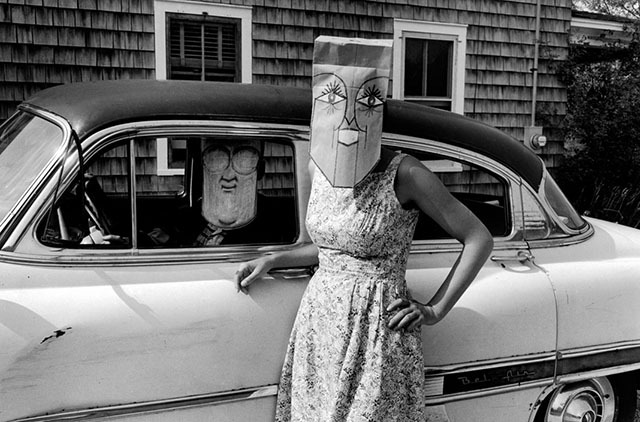 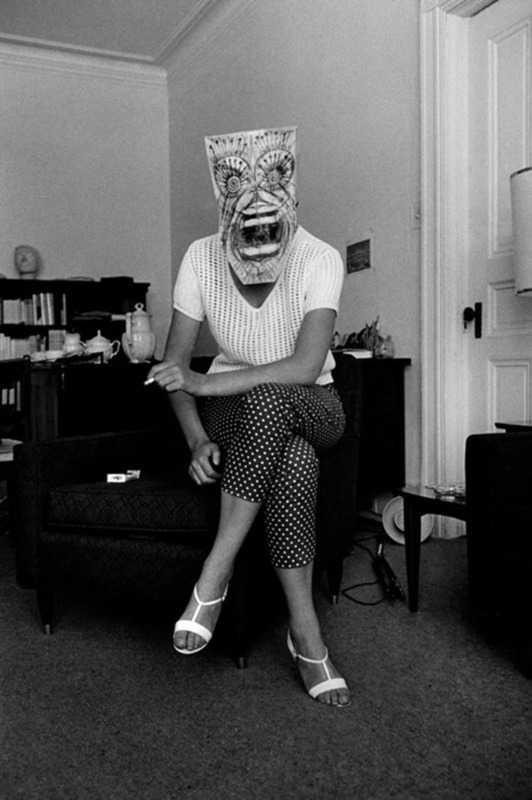 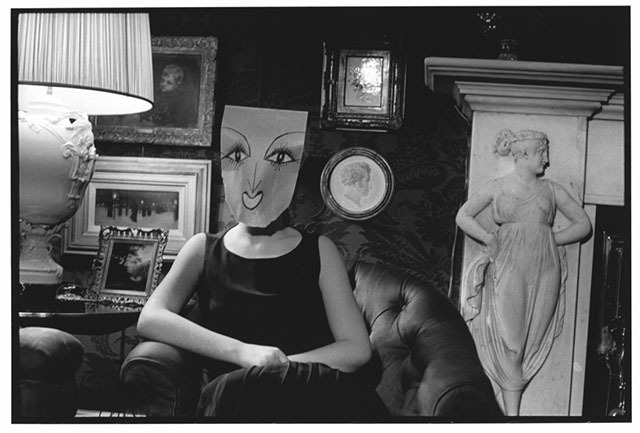 In 1958, when photographer Inge Morath went to his home to make a portrait, Steinberg came to the door wearing a mask which he had fashioned from a paper bag. 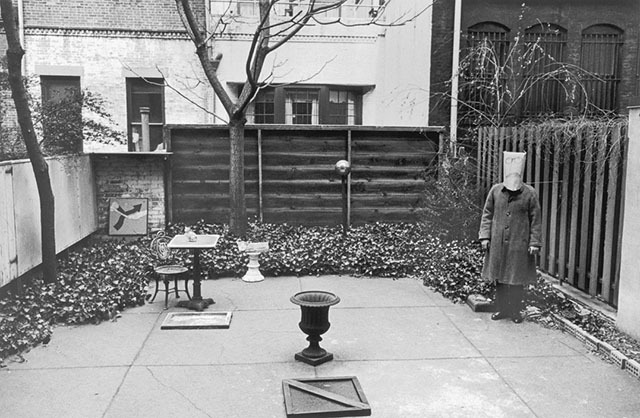 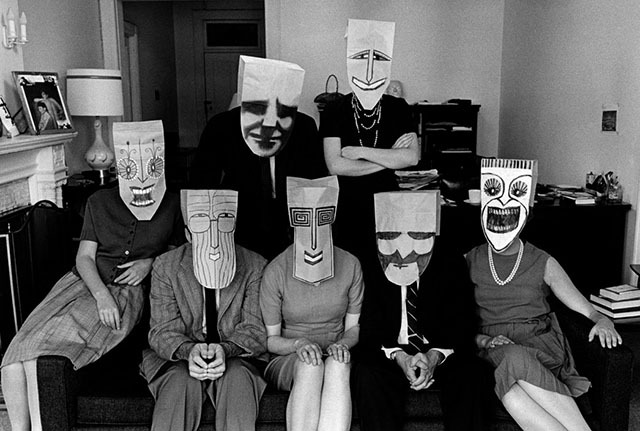 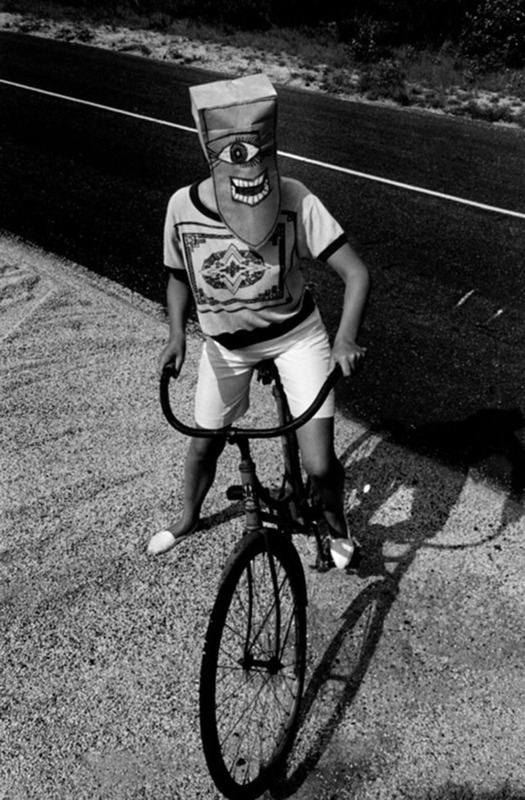 Over a period of several years, they collaborated on a series of portraits, inviting individuals and groups of people to pose for Morath wearing Steinberg's masks. 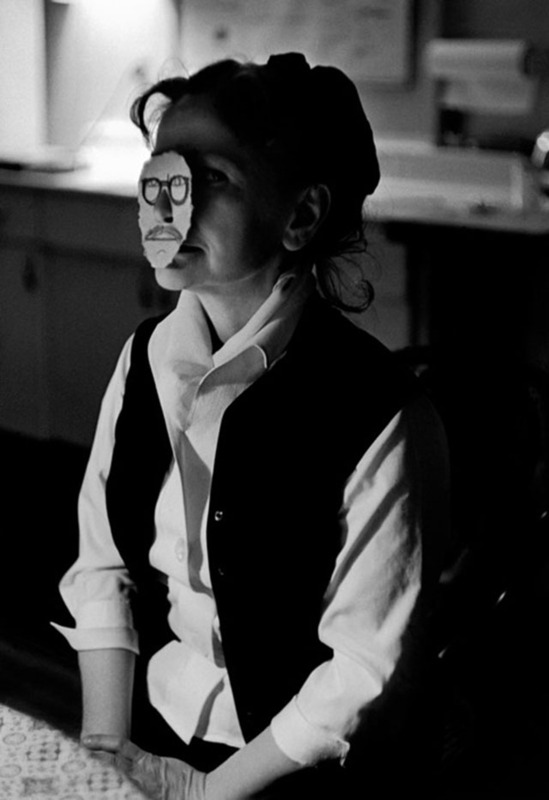 Another long-term project was Morath's documentation of many of the most important productions of Arthur Miller's plays.